Devra Braun, MD, a Board Certified psychiatrist, is Director of the Psychiatry Department at Greenwich Hospital. She has lectured widely and written many peer-reviewed medical articles and book chapters on topics including eating disorders, pregnancy, anxiety and depression. A Clinical Assistant Professor of Psychiatry at Weill-Cornell Medical College, she teaches the Mind-Brain course to Cornell medical students and is also on the medical staff of Greenwich Hospital. An NYU Medical School graduate, she was a resident, NIMH researcher, and medical director of an inpatient eating disorder treatment at the New York Hospital-Cornell Medical Center, Westchester Division. Dr. Braun is former Chairperson of the Neuroscience Committee at the Group for Advancement of Psychiatry (GAP) — a group of nationally recognized psychiatric leaders. She maintains a cutting-edge expertise in evidence-based mind-body treatments. 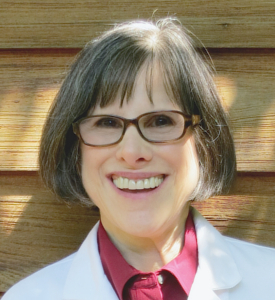 She enjoys collaborating with patients to teach them to use visualizations, self-hypnosis and mindfulness techniques to help manage anxiety, social phobia, panic attacks and other conditions.